Despite a recent dip in his form, Cristiano Ronaldo has already scored 28 goals in 20 La Liga appearances for Real Madrid this season. The 2014 FIFA Ballon d'Or winner is simply out of this world and along with Barcelona's Lionel Messi, the person most responsible for drawing attention to Spain and inflate the price of La Liga tickets on a weekly basis. With the UEFA Champions League knockout rounds about to get started later this week and the Spanish League shortly entering its decisive stage, Ronaldo will need to be at his best if he wants to lead the Merengues to new successes. The former Manchester United forward has scored a staggering 205 goals in 185 league appearances for the defending UEFA Champions League winners since his then-record breaking £80 million move from Old Trafford, back in the summer of 2009. Only in his debut season at the Santiago Bernabéu stadium, did he not average at least one goal per game in La Liga – and even then he scored 26 goals in 29 appearances. Carlo Ancelotti has certainly got the best out of the Portuguese centurion this season with his stunning goalscoring record during the first half of the season, as his side currently lead Barcelona by one point at the top of the Spanish League table and keep Atletico Madrid distant, 7 points below them. • Last season, the Real Madrid player became the first to score nine goals in the Champions League group stage. That record was then tied by Shakhtar Donetsk's Luiz Adriano this season. • He became the first player to score 10+ goals in three consecutive Champions League tournaments. Ronaldo is currently on five goals this season, ahead of Madrid's second round tie with Schalke 04. • Scored in an incredible 10 consecutive away Champions League ties. 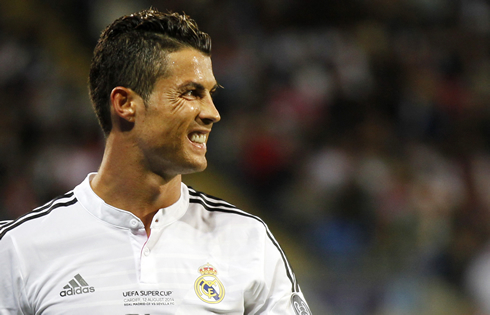 Ronaldo is also the first Real Madrid player to score in eight consecutive league matches. The records keep tumbling for Cristiano Ronaldo, who now has Raúl's Real Madrid all-time goalscoring record of 323 goals in all competitions, in sight. The Portuguese forward is currently on 288, so he may well break that before 2016. 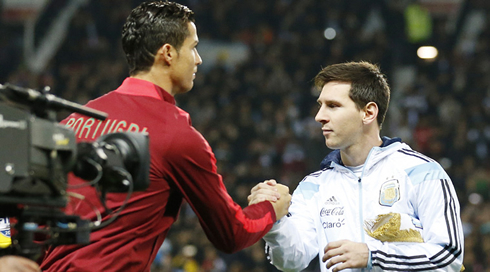 Major goalscoring records Ronaldo won't have at the end of his career look to be stolen by Lionel Messi. The Barcelona forward is already up there with his nemesis, but the Argentine is two-and-a-half years younger. Messi is already narrowly ahead of Ronaldo as the all-time Champions League top goalscorer. And having spent his whole career at the Camp Nou, Messi is also La Liga's all-time top goalscorer after a total of 299 appearances and 266 goals scored. Will Cristiano Ronaldo be leaving Real Madrid any time soon? Not a chance. He's playing for the biggest and best club in the world right now and no one is going to cough up the £1 billion buy-out clause in his contract for a 30-year old. Ronaldo will be playing in the Spanish capital for the foreseeable future, by which time a number of records will have been smashed by the superstar, and probably a few more trophies lifted. Cristiano Ronaldo next game will be for the UEFA Champions League against Schalke 04, on the 18th of February of 2015. You can watch Juventus live stream, Schalke 04 vs Real Madrid, Liverpool vs Besiktas, Preston North End vs Manchester United, Tottenham vs Fiorentina, and Shakhtar Donetsk vs Bayern Munich, all matches provided from our football live section.